These post titles are days of the week, purely because I'm too lazy to think of anything interesting. 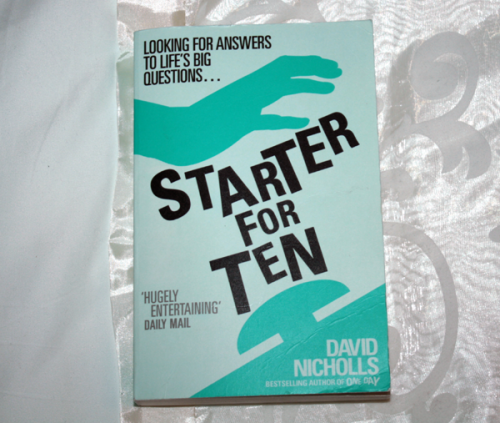 I started reading Starter for Ten by David Nicholls on Monday and so far it's really good. I read one day a few weeks ago and it was really good, so I thought I'd try this one next. I'm also planning on buying The Understudy, another book by Nicholls, soon. I saw the film a couple of years ago though, and I wish I'd read the book first. I've done quite a bit of reading this summer, so I thought I'd compile a list of everything I've read, in chronological order and all that. And now I'm on starter for ten, that and wild abandon which I'm only a few chapters into. 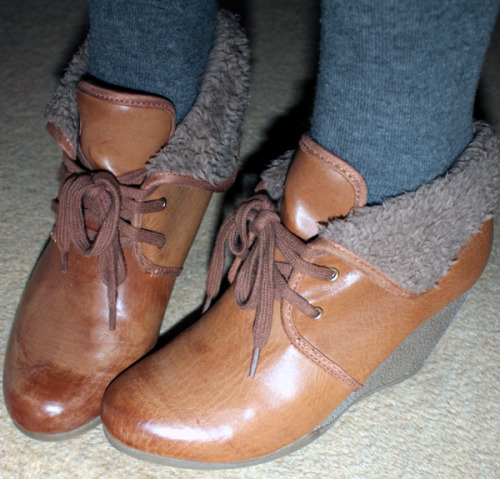 I've taken up wearing these boots a lot the past week, they're really really comfy and feel like flat shoes really, I love them. In "books", "clothes", "david nicholls", "starter for 10"